Planing a scuba diving getaway/escape can be very stressful. This is especially the case when you finally get a little extra time for a last-minute trip to get out or sneak out and dive. Planning and booking a quickie/last-minute get-away dive trip can be especially painful. It is not as simple as running out grabbing your gear and diving. It becomes a search and find mission to locate charters that not only interest you, but charters with scheduled trips matching your availability that are not completely sold-out. Fortunately there is finally an easier way. 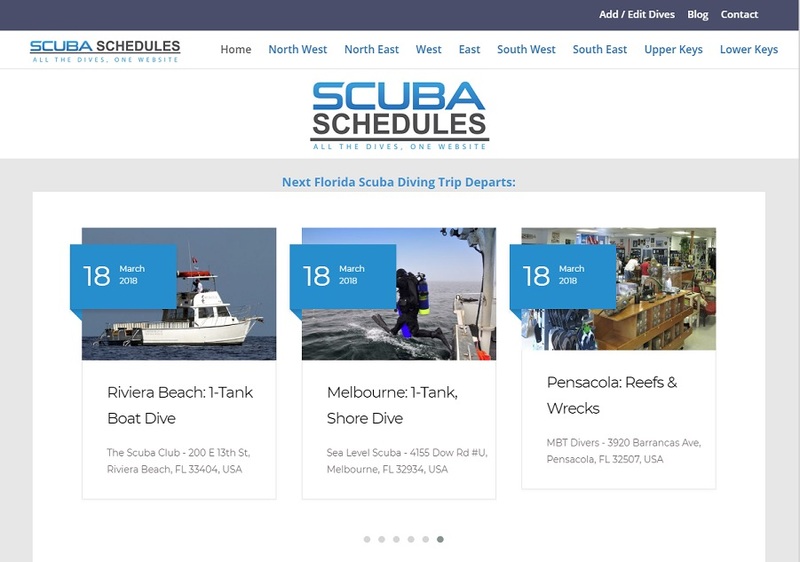 Starting with Florida and the FLorida Keys, the folks at ScubaScuedules.com have a solution that makes the whole process of planning and booking your dive trips so much easier. ScubaSchedules.com lists all of the available dives in one place. Just pull up the calendar for the region of your choice and select from a list of all of the dive trips currently available from your favorite scuba shops, dive clubs and charters throughout FLorida and the Florida Keys. ScubaSchedules lists the real-time/current availability of dive trips so that you are well prepared to make the best selection and reserve your spot for the dive at any time. Finding and booking quick last minute getaway dives is as easy as logging onto ScubaSchedules.com, selecting a region and picking from a list of available dive trips for any given day. The video below explains how easy it is to book that quickie diving getaway.